Part 1: 1.Chromatographic Methods for the Separation of Carotenoids. Tables. Part 2: 1.Chromatographic Methods for the Separation of Porphyrins and Metalloporphyrins. Tables. 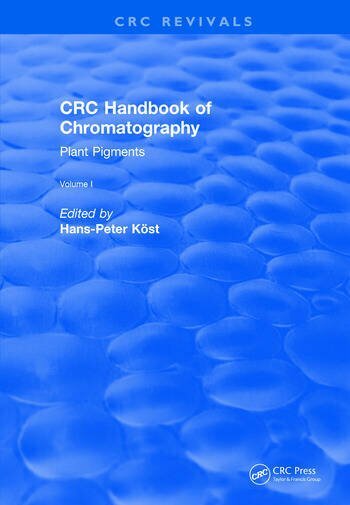 Part 3: 1.Chromatographic Methods for the Separation of Chloro-phylls. Tables. Index.